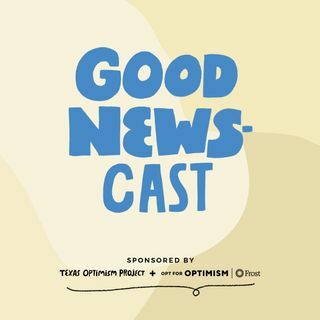 The Texas Optimism Project and Frost Bank are proud to introduce the Good Newscast, a podcast about good news in the world. Join hosts Owen Egerton, Arely Silva and Andrew Roush as they dive headfirst into exploring the power of perspective and unlikely stories of optimism. This week, we discuss Mary Oliver, a boxing athlete, the incredible story of a midwife in the Himalayan Mountains, and more!